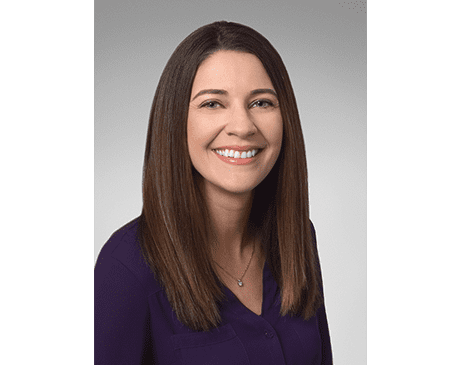 Elizabeth Conkle, APRN, one of the top OB/GYN nurses at Dr. Sharon Briet’s Center for Women’s Health in Wichita, Kansas, is a native Kansan that grew up outside of the Wichita area. After graduating from high school, she obtained her Associate’s Degree in Nursing from Butler County Community College in Butler, Pennsylvania, and went on to further her education in nursing by completing her Bachelor’s Degree from Wichita State University in Wichita, Kansas. She worked as a cardiac nurse for six years prior to obtaining her Master's Degree in Nursing from Maryville University in St. Louis, Missouri. Upon graduating with her Master’s Degree, APRN licensure, and national certification, she started her advanced practice registered nurse (APRN) career with a background in family practice, where she further developed her passion for women’s health. She is dedicated to the best care and outcomes for her patients and their families. In her free time, Liz can be found with family. She also enjoys watching sports and spending time on the lake. At Center for Women's Health, we accept most major insurance plans. Here is list of some of the plans we accept. Please contact our office if you do not see your insurance provider listed.